Tin Shu Min – 1:58.26 (New 20km Road Women National Record). Eclipsing her own previous record of 2:00:16. Achieved yesterday morning at the Asian 20km Race Walking Championships Nomi Japan 2015 – SAA Selection Trial. 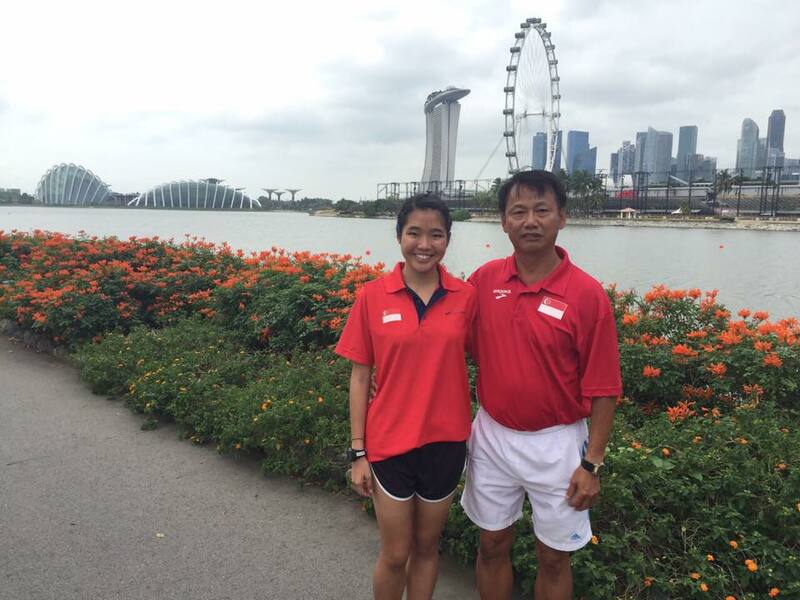 In picture is Shu Min with her coach Chu Seow Beng.